What Are Programmable Thermostats, and What Are Their Advantages? Saving Money. By scheduling a decrease in usage during the day when no one is home, or at night while you’re asleep, you can ensure that you’re saving money. Simply letting your thermostat turn the temperature up 10 degrees while you’re at work can cut 10 percent from your utility bills. You’ll save even more if you schedule higher temperatures during peak usage times. Conserving Energy. Saving money and saving energy go hand in hand, and that’s great for everyone. When you use your air conditioner less, you’re also using less electricity. Depending on your electrical source, that can mean less coal burned to generate the power needed for the electrical grid — and less air pollution. Hands-Free Operation. Sure, you can turn down your thermostat manually, and many people do, but each day you forget is a day you’re wasting money. 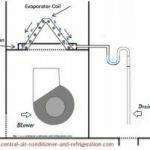 If you have a thermostat abuser in your home who tends to turn the thermostat all the way down in hopes of making your home cooler faster, it won’t speed things up, but it can cost a lot of money if you forget to turn the dial up again. A programmable thermostat can break bad habits by encouraging hands-free operation. Even if bad habits persist, your program will override manual settings at each scheduled temperature change. Mercury Free. Fewer and fewer homes still cling to their old school thermostats, but if your home is one of them, opting for a programmable thermostat will rid you of one of the biggest sources of mercury in your house. Older manual thermostats rely on a carefully calibrated mercury-filled vial to maintain settings, and while they work just fine, if the unit is bumped hard or crushed there’s a very real risk of mercury poisoning. Filter Monitoring. 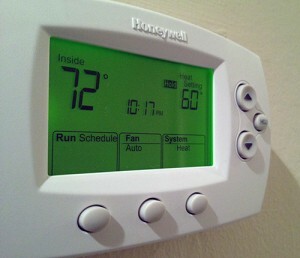 In addition to tweaking the temperature for you, many programmable thermostats have filter-monitoring tools available. Some simply count the days since you last changed your system’s filter, but others can actually tell you when the filter is dirty. These clever thermostats are great if you tend to forget the maintenance that your air conditioning system requires. Smart thermostats are the newest in home climate control gadgetry, but some homeowners are still unclear what the benefits will be if they make the leap to these high-end programmable options. Smart thermostats like Nest’s Learning Thermostat or Honeywell’s Wi-Fi Smart Thermostat are making huge strides in energy savings by keeping track of how to keep your home comfortable. 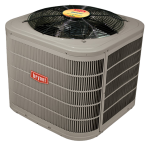 After about a week’s worth of training, these units are prepared to handle your climate control needs. They can even track your energy usage and show you where you could save even more. When connected to a smartphone, smart thermostats can be controlled from anywhere in the world, and will communicate directly when maintenance is needed or errors occur. The newest generations of these thermostats can even tell when you’re home. And when you leave, they will switch into energy-saving mode until you return. Programmable thermostats and smart thermostats are more examples of how the air conditioning industry is evolving — and Precision Air and Heating is evolving, too. Our NATE-certified technicians are trained in all the newest equipment. We’re more than happy to share our knowledge with you, whether you’re looking for a new thermostat or a new air conditioning unit.